피렌체, 이탈리아의 인터내셔널 스튜던트 하우스 플로렌스 | 호스텔월드에서 예약하세요. 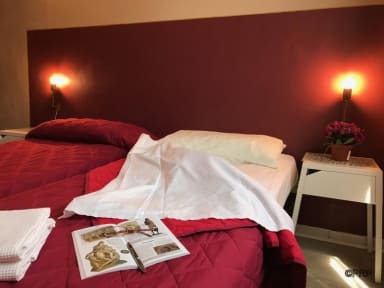 International student house florence is 2 minutes walking from the s m n central train station also it lies within the heart and historical center of florence. 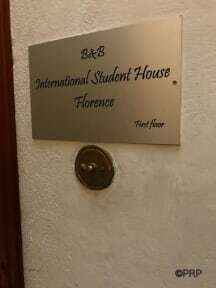 In addition, not only is it easy to reach, but also the international student house florence is exciting and familiar. Located in an authentic historical building, the place is safe, clean and fosters an overwhelmingly enthusiastic environment with its young hip staff. Additionally, its great location enables its guests to travel with great ease to not only its historical sites, but to the young and crazy night life that florence has to offer. The staff will be more than happy to point out the historical locations by providing a map and give you discounts for the surrounding discoteches and pub crawls. In addition the staff is capable of speaking not only italian, but spanish and english as well. All rooms are very nice on request you can have tv, internet and private bathrooms. There is a one room king size bed for those romantic travelers, a 2 bed room, and 3 bed room for those smaller groups looking for privacy as well. A key is issued for each room as well. A 2 minute walk takes you to the historic trading centre of san lorenzo, 3 minutes take you to the david of michelangelo and another 2 take you to the 'florence trademark', the duomo cathedral. Another 3 minutes and you arrive to the uffizi gallery and on the romantic ponte vecchio.